Transcript of audio cassette entitled "Jack Carbutt interviews Jack Davies, Amelia Van Dyke, Stephan Claire, January 1963." 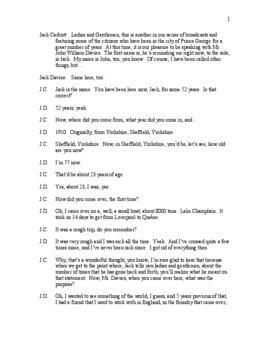 Transcript created by the Prince George Oral History Group. Title based on the content of the item.